Do you love fish? I sure do, especially if it’s sustainably harvested. Here in the Bay Area, we have an abundance of local fish to choose from. Much of it is caught along the coast of Half Moon Bay, Santa Cruz, and Monterey Bay. Many of you may be familiar with Seafood Watch, a program run by the Monterey Bay Aquarium aimed at helping consumers make good choices when it comes to buying seafood. I like to use their iPhone app which helps me determine if the fish I’m about to buy is on the Best Choices or Good Alternatives list. You’d be surprised by some of the members of the Avoid list. 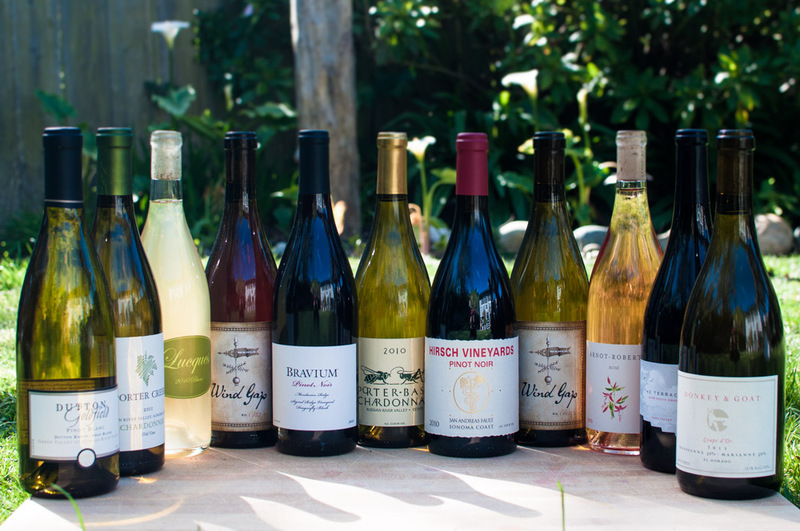 A few days ago, the SF Chronicle published an article on Pacific Sanddabs in their Food & Wine section. I had seen sandddabs many times before being sold by my local fishmonger. I never thought twice about them, but this article really piqued my interest. I decided to set forth on a mission to find San Francisco’s finest Sanddabs. I did eventually find them at none other than the 18th Street Bi-Rite Market for $10/lb. By Bay Area seafood standards, they are a steal. Move over King Salmon! While sanddabs are not on the Monterey Bay Aquarium “Recommended” list, they are on the “Good Alternatives” list and that’s good enough for me. 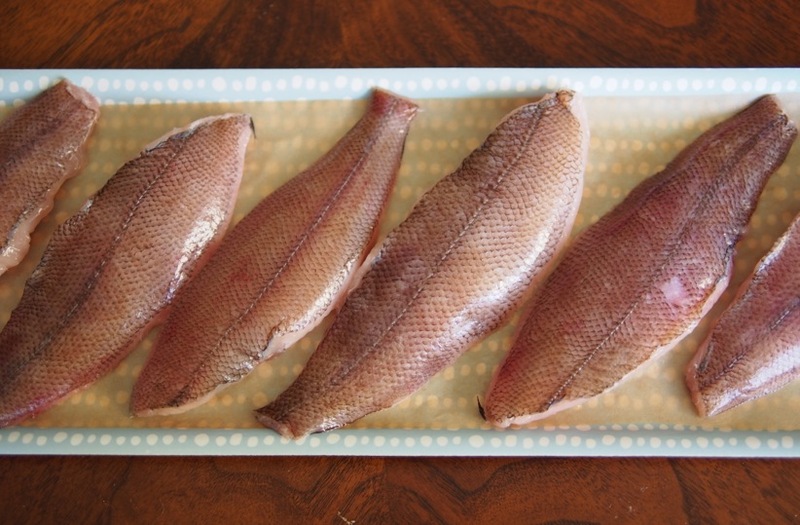 I wanted to make the preparation simple so I could highlight the delicate, nutty flavor of the fish. I ended up settling on lightly dredging them in flour and pan-frying them in neutral-tasting rice bran oil, then serving them with chive Beurre Blanc. 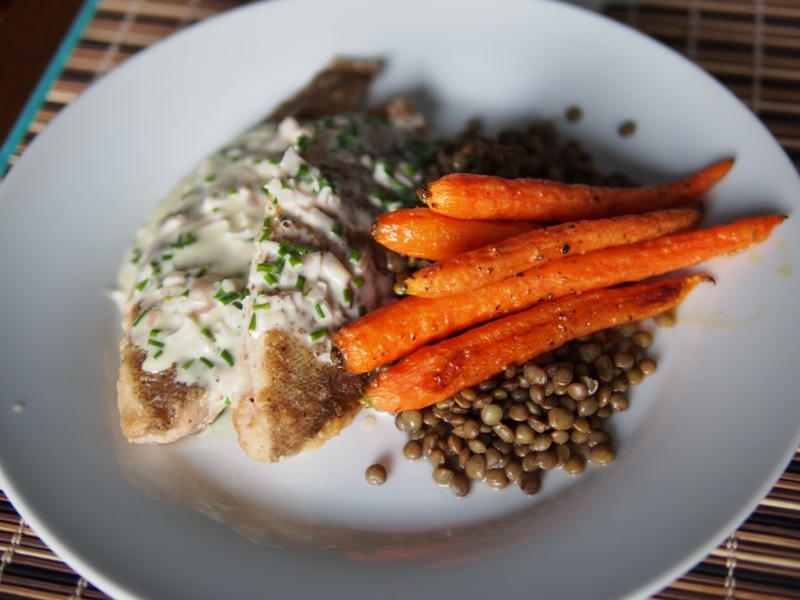 I roasted up some carrots and cooked some French lentils to serve with them, staying on the French trajectory. The outcome was fabulous, and I’m now hooked on sanddabs. I have been squirreling away a bottle of Chablis that I wanted to open with some white fish, and this seemed like the perfect opportunity. I really do love Chardonnay, especially if it’s French. Chablis is one of the best values in Burgundy, and this bottle only set me back $29. 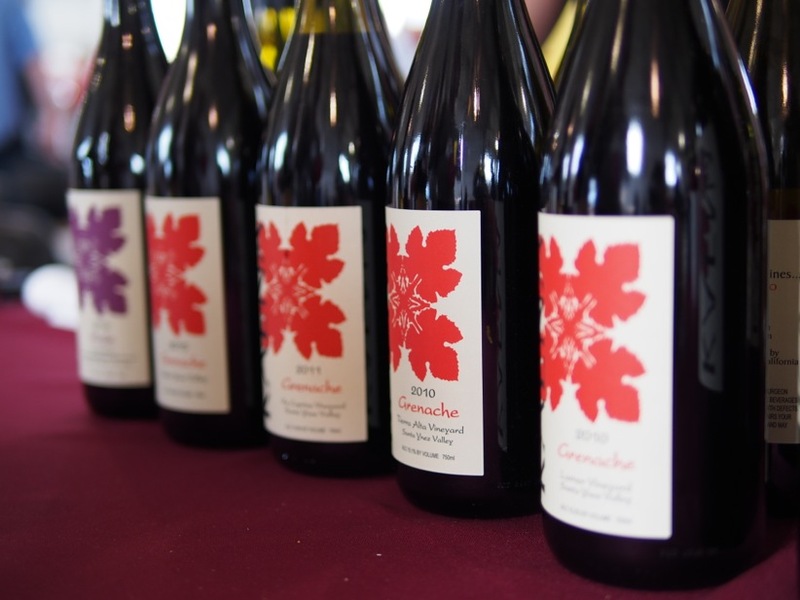 I picked it up at Ruby Wine in San Francisco’s Potrero Hill and I sure am glad I saved it for such an occasion. The pairing was lovely, adding a nice crisp counter-point to the beurre blanc while not overwhelming any of the ingredients in the dish. 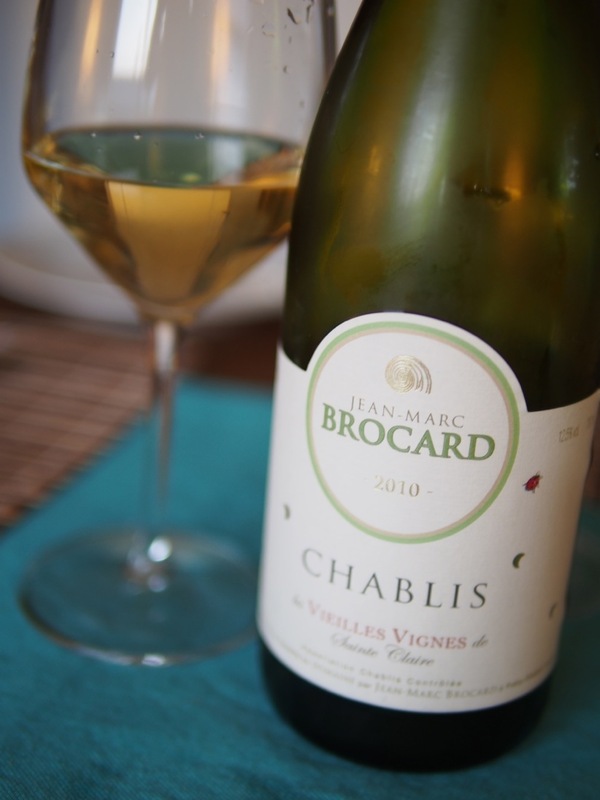 2010 was a cool vintage in Chablis and many of the wines made that year have a ton of racy acidity. This wine also had a prominent mineral backbone, a hallmark of Chablis, which was a great compliment to the briney character of the sanddabs. Chablis is a very versatile wine, but I love it most with seafood. Are you a sanddab fanatic? Do you fish them yourself, or prepare them in a special way? Let us know in the comments. Are you a West Coast native? 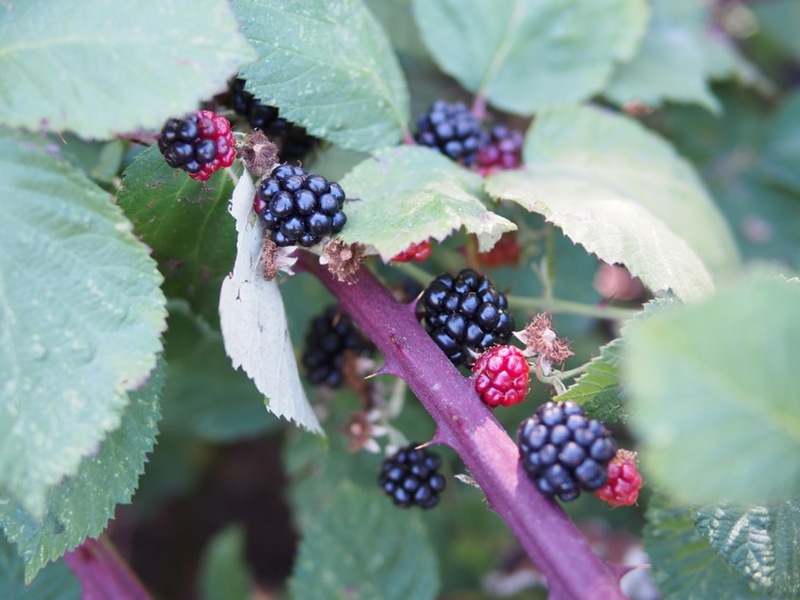 If so, you may be familiar with the Himalayan Blackberry, a variety of blackberry that was brought to the US in 1885 for food production because of it’s large, sweet fruit. It quickly became an invasive species and spread all over the temperate US. I can remember from a very young age seeing creek beds, empty ditches, vacant lots, and hillsides absolutely covered in them. They are impartial to the city or countryside, growing vigorously all over the state of California. Their sweet canes are delicious to goats, and you may have seen herds of them munching hillsides covered in blackberry. 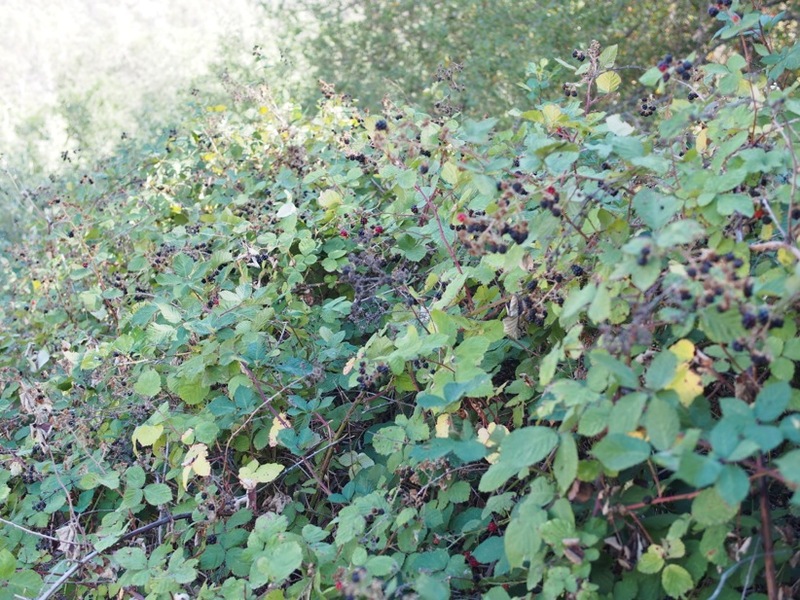 Every summer, it’s a Bay Area tradition to go wild blackberry foraging. We are, after all, descendants of gatherers, and I feel a very strong natural inclination to hunt for these guys for hours on end. Many of my friends behave like depression-era hoarders, and I never have trouble finding someone who wants to go blackberry picking with me. It’s an invasive species, so I never feel bad about taking as many as I want. In fact, the big patches in my neighborhood are mostly picked-over by the end of summer, but I know of a few patches that others don’t. 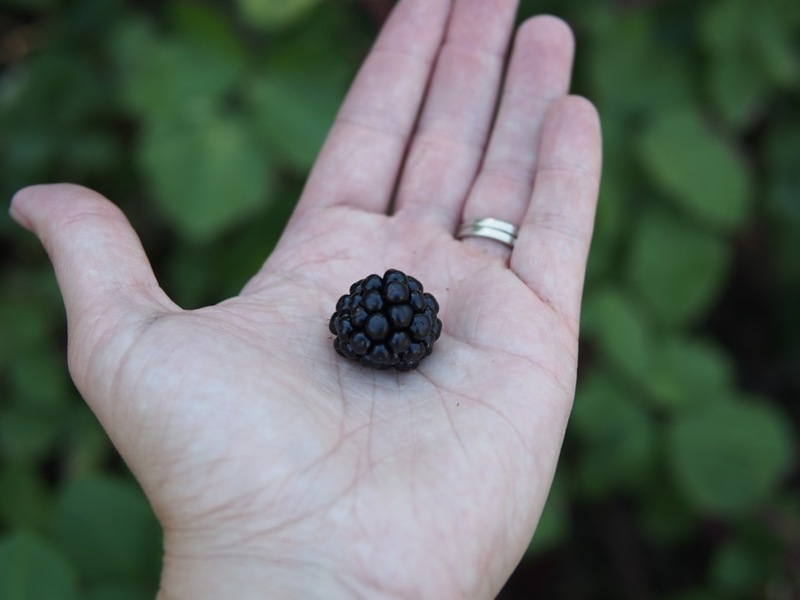 You don’t have to be Iso Rabins to forage your own blackberries. Chances are, you already know of a patch or fifty within a three mile radius of your home. If you live in a big city with no vegetation, just ask a friend. All you need is a basket, a glove (I use latex so I can still feel around but not get poked by thorns), sunscreen, long sleeves, sturdy shoes, and maybe a blanket to throw over the brambles in front of you so you can reach the untouched, fat, delicious berries farther back. (I learned that trick from a 10 year old girl I saw picking berries along Lucas Valley road in Marin). It’s always a good idea to taste some samples from your chosen patch first, as some patches taste better than others. Another thing to keep in mind while foraging blackberries is to avoid patches along busy roads. The berries have all sorts of nooks & crannies along with really thin and delicate skin. They are essentially covered in road grime, exhaust particles and other nasty stuff that you don’t want to eat or feed to your family & friends. Try to find bushes off the beaten path, those are less likely to be picked over anyhow. Once you get all of your delicious blackberries home, what will you do with them? I like to lay mine out in a single layer on a cookie sheet covered in parchment paper and pop them into the freezer. 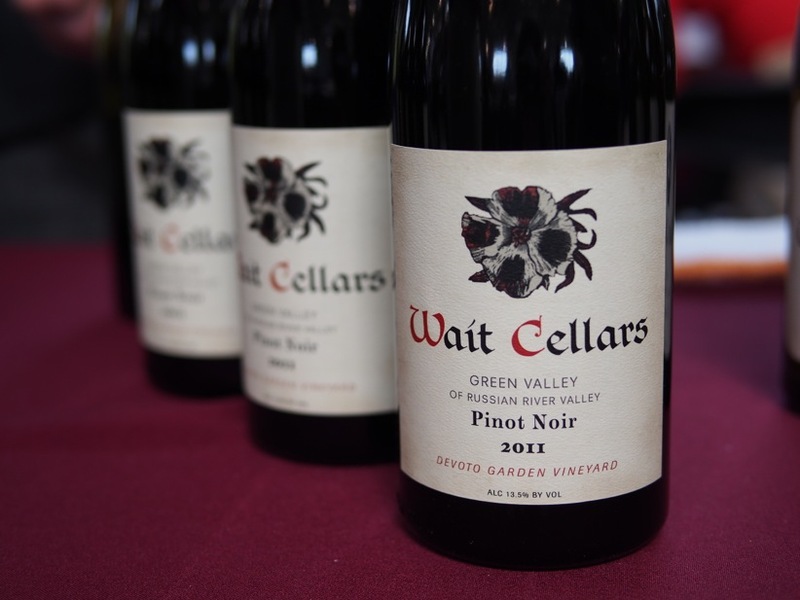 This flash-freezes them, preserving their peak-of-summer sweetness and bracing acidity. After they freeze, I pack them into freezer-safe mason jars and use them all throughout the year when I’m feeling nostalgic for summer. 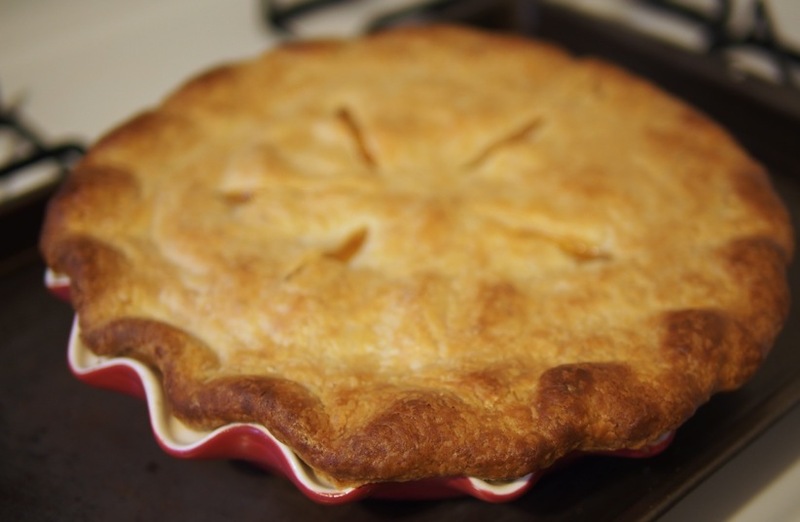 They are great with peaches in desserts, cooked down into a syrup or made into a pie. Throw them into a bowl of oatmeal or put them into your Sunday morning pancakes. The options are really endless, use them as you would any other fruit and bask in the notion that you didn’t pay a dime for them. If you are uncomfortable with scaling hillsides or put off by the idea of thorns, you can always visit Swanton Berry Farm on Highway 1 near Año Nuevo State Park. They have rows and rows of kid-friendly, delicious, thorn-less blackberries that you can pick yourself and pay for. They are a different variety than the wild blackberries, but they are just as if not more delicious. They also grow strawberries, ollalieberries and kiwi fruit. How do you use your wild-foraged blackberries? Let us know in the comments! For the last 5 years or so, I’ve made a pilgrimage of sorts. I’m not a religious person, and to imply that I might be seems almost laughable, but going down to Andy’s Orchard in Morgan Hill, CA is a sublime experience that satisfies me to a degree that surprises me every time I go. 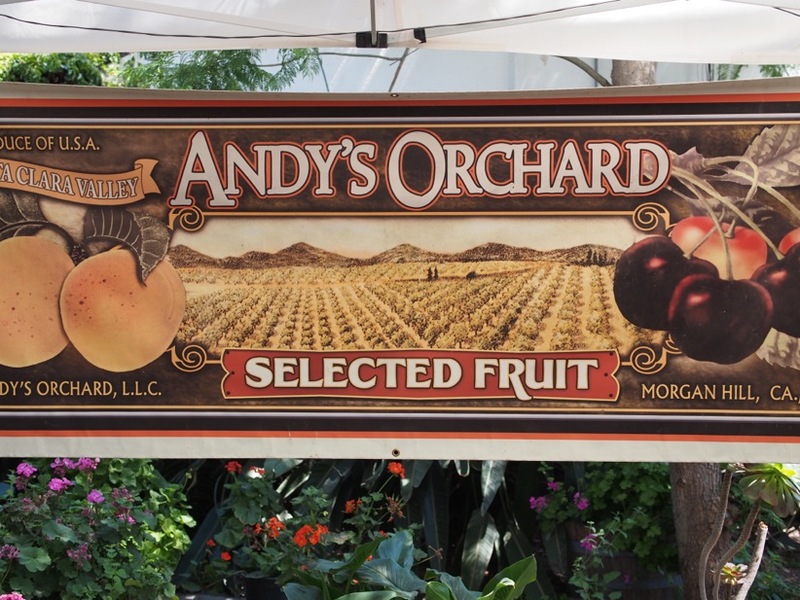 Andy Mariani is a fruit grower extraordinaire, with a beautiful orchard just over 20 miles south of San Jose. It’s a long drive for me, coming from Oakland, but it’s so worth it. 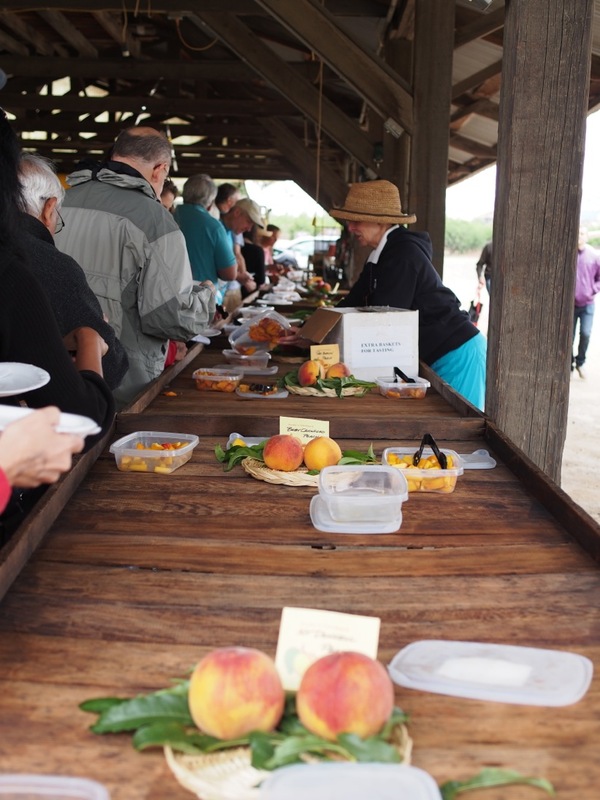 Every year, Andy hosts a few tasting events – generally, one in June, one in July, and one in August, to offer the public an opportunity to sample the abundance of his orchard, and his hard work developing, preserving, and evangelizing rare, precious, and fragile stone fruit varieties. (Stone fruit is anything with a pit: cherries, apricots, peaches, plums, and so on.) 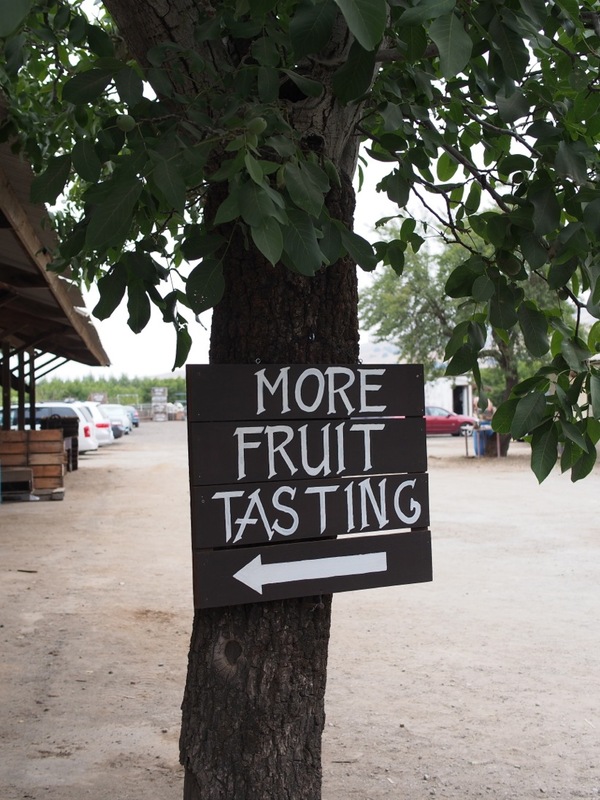 The August tasting always has a wide array of the larger, later-season fruits – peaches, plums, nectarines, and hybrids. 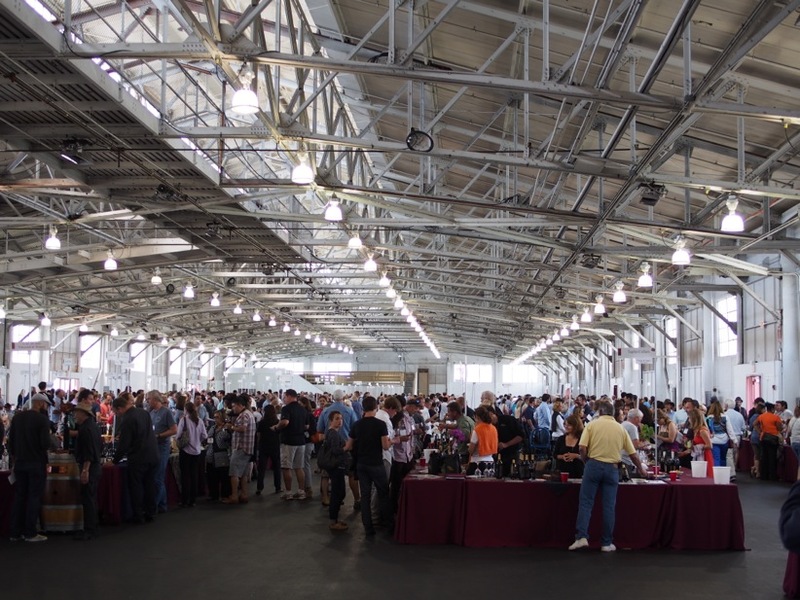 This year, I’m sure we tasted at least 25 or 30, and if we’d been intrepid enough, could’ve tasted through at least 25 more. After you walk down row after row of sliced, delicately flavored and complex fruit, you get the opportunity to trek through the orchard with a box or a bucket, picking however much of whatever fruit you’d like to take home. This is a test of discipline and will for me. I am, after all, the crazy girl who has a peach tattoo, and setting me loose in an all-you-can-pick orchard is a dangerous proposition. This year, I walked away with only 25 pounds of fruit that I split with A, who joined me. 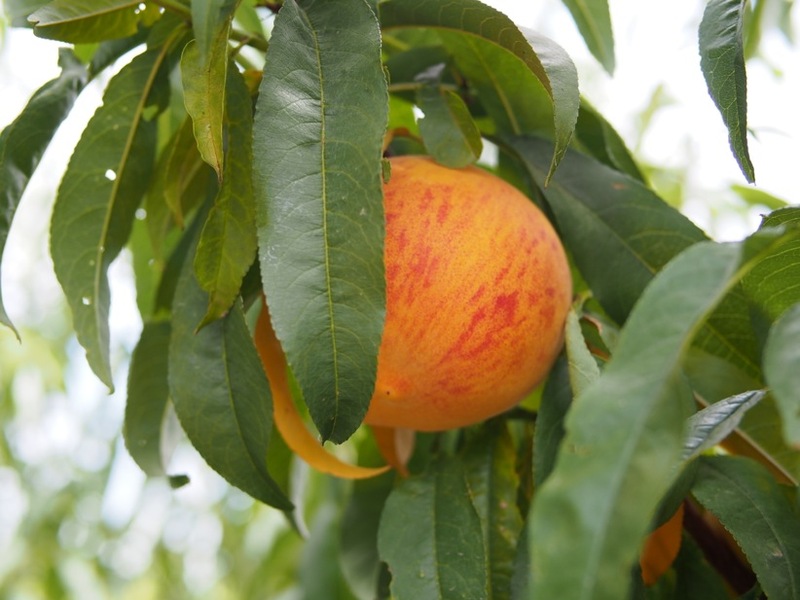 We picked 3 primary varieties – the Kit Donnell and Baby Crawford peaches, and the Silk Road nectarine. Types you’ll surely never see in stores because they’re so delicious, but so delicate and fragile that they didn’t even make the trip from the tree to my house unscathed, let alone from tree to distributor to store to display to cart to trunk to your kitchen shelf. They last so few days once home, that consumers would never tolerate it. But trust me – the flavor, texture, and joy is totally worth the experience. If you’ve never picked a tree-ripened summer fruit from a branch, noticing that the sun has warmed its – and your – skin, you’re truly missing out. I recommend this experience to everyone. Being able to pull a piece off a tree and bite into it to tell what it is, and whether you like it or not, is something unmatched by even going to the farmers market. This is as close as I can get to my food, and for me, it makes it taste all the better. A and I agreed that the Silk Road may be the best stone fruit we’ve ever eaten. I decided to turn it into sorbet to preserve the beautiful deep goldenrod color, and the creamy, dense texture. Oh, so what did I do with those 25 pounds of fruit? Y’all know I like pie, right? Like I’m kind of obsessed? It’s still delicious two days later, even. We also made some peach brandy (hopefully I can tell you about it when it’s done, but that might be a few months,) peach ice cream, the aforementioned nectarine sorbet, and ate many out of hand – the best way to enjoy them. 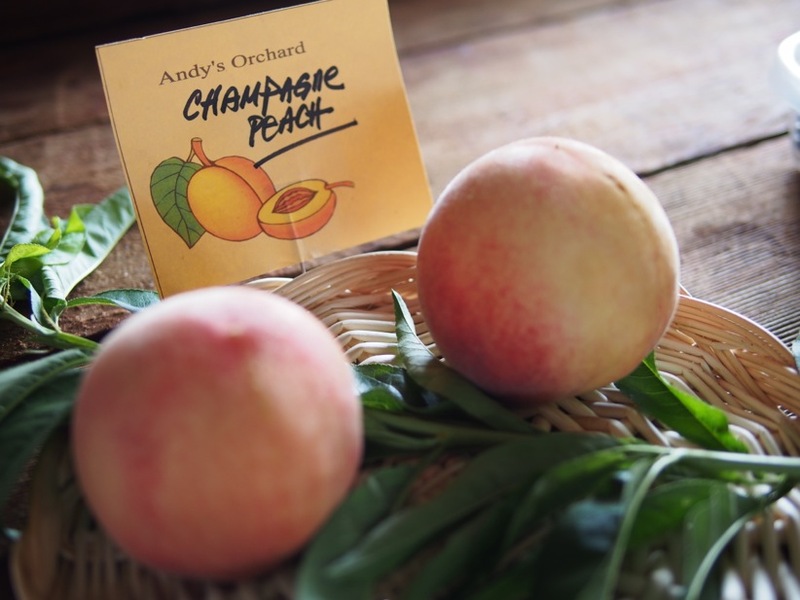 This event was the last one at Andy’s Orchard for 2013, but if you’re jealous, you can order some of Andy’s fruit and have it delivered to you in a foam-cushioned box. So, have you ever visited a you-pick orchard? There are tons! What did you do with your treasure? If there’s any one commodity in my kitchen that is worth it’s weight in gold, it is home-made chicken stock. I’m not talking about the salty garbage you buy at the store that has been fined and filtered to oblivion and back, or even the kind that costs $80 for 2 cups worth at Williams-Sonoma during the holidays (I wish I was kidding). I’m talking about the kind that takes 8 hours to cook, anyone can make, and results in a rich, delicious, savory, viscous, concentrated broth. What exactly does one use chicken broth for, other than the obvious chicken soup? Well, let me tell you all the things I use it for. Risotto. Use your home made chicken stock to make the most delicious risotto you’ve ever had. Matzoh Ball Soup. Get that matzoh ball mix from the store and get ready to indulge in this classic New York soup. Pan Sauce. That’s right, you can use your home made chicken broth to make unbelievable pan sauce any day of the week. Polenta/Lentils/Rice/Grains. Cook your whole grains with some chicken broth and go from ho-hum to OMFG. Bread Pudding. If you’ve never made this before, you are missing out. Home made chicken stock makes it ethereal. Braising Liquid. 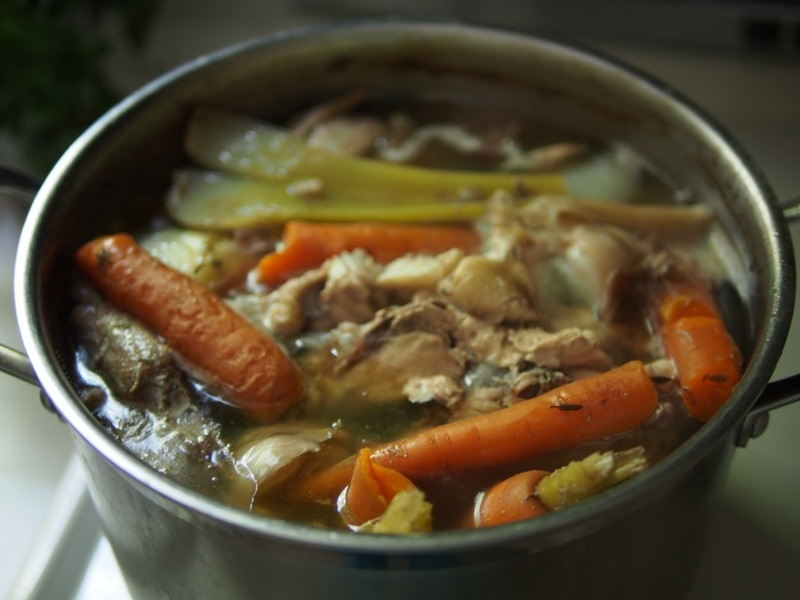 Use chicken stock to braise anything from chicken to veal. Mashed Potatoes. Add this to your battle-worn mashed potato recipe and get ready to be amazed. Stir-fry. Use chicken stock in your stir fry for a healthy alternative to oil. So you see, you can use chicken stock in pretty much anything (well, except for your Cap’n Crunch, but I won’t tell anyone if you try it). This recipe will go over how to make a batch in an 8 quart stock pot, which should yield about 5 quarts of stock. That’s enough to last me about a month. You will find that although cooking it can take a really long time, there is really very little technique involved and it’s very easy to make if you have a whole day to spend at home. The key is getting enough carcasses to start with. Some recipes call for a whole chicken, meat included. I feel this is a waste of perfectly good meat, as chicken is not great when it’s boiled. 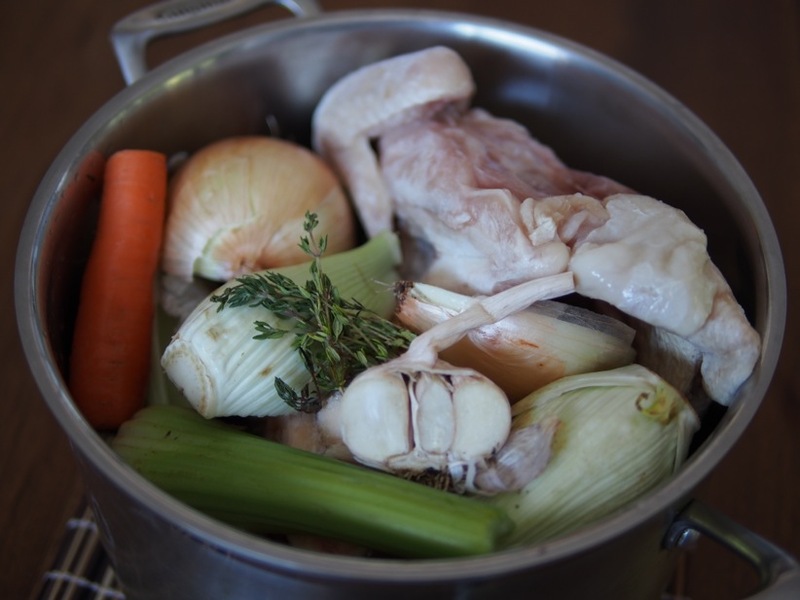 Also, the thing that makes home made stock special is the broken-down connective tissue, cartilage and bone which gives it an amazing texture. The only way to achieve this is by using lots of bones and cooking them for a really long time. The best way to get a high bone to meat ratio is by using carcasses with most of the meat removed. 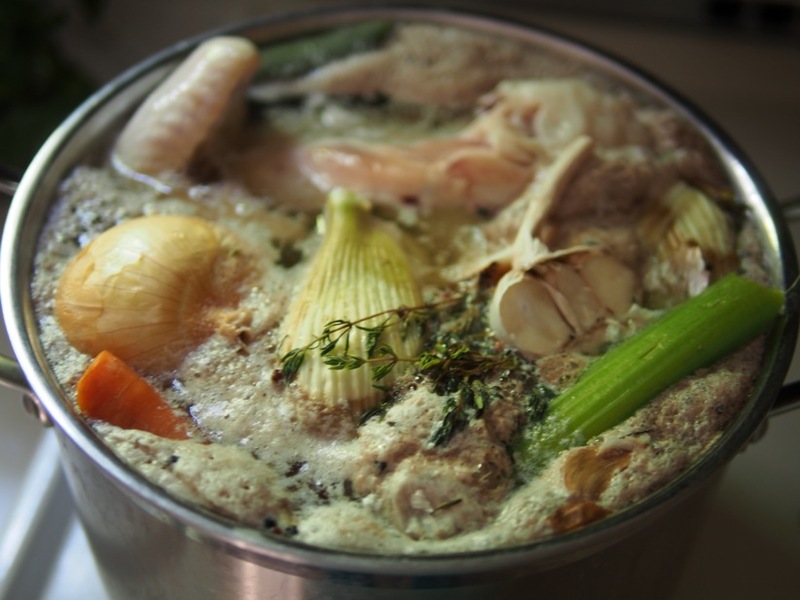 I like to use three carcasses to one pot of stock – use fewer and your stock may come out thin and bland. The cheapest way to obtain them is to buy your chicken whole from your local butcher, ask them to break it down into 4 pieces (leg/thigh, boneless breast/wing) and to wrap up the carcass & necks separately so you can freeze them. The meat will serve 4-6 people, or you can freeze the individual pieces and cook them as needed. Over time, you will end up with several frozen chicken carcasses, and then you’ll be ready to make stock. As for aromatic vegetables to complement the chicken, the sky is the limit. Below I will make some suggestions and generally you want to use at least some carrots, celery & onions. You can really use anything you want. I tend to add herbs, parsley stems, fennel, bay leaf, peppercorns, and anything else that’s super aromatic and can stand up to long periods of cooking without disintegrating. Get creative here! 1. 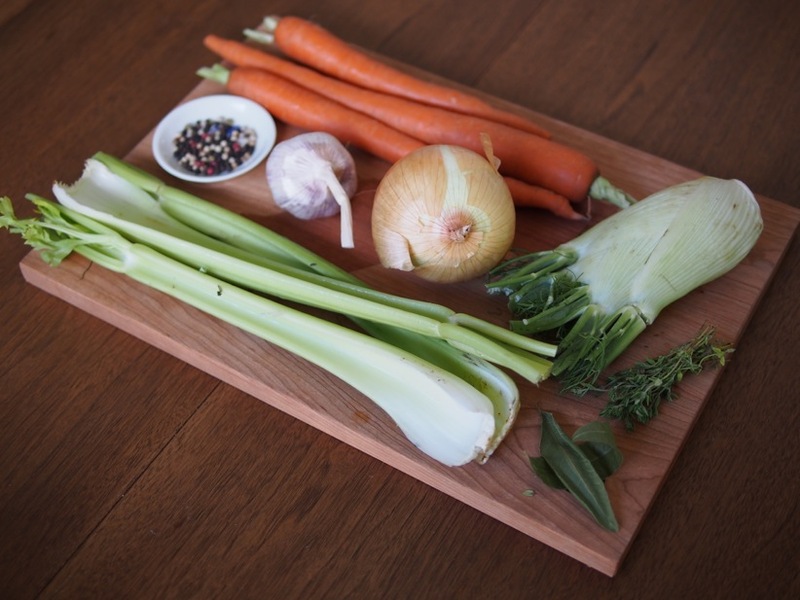 Put all ingredients into your 8 quart stock pot. Don’t worry if it gets really full (see below), as everything will break down within the first hour of cooking and fit into the pot. 2. Fill the pot with water up to the top, leaving about an inch of space so that the water doesn’t boil all over the place. 3. Place on the stove and turn on the heat to high. I start with frozen carcasses and that’s totally fine. They don’t need to be thawed because you are going to be boiling them. Save yourself the trouble and let the water do the work. 4. Once the water starts to boil, turn the heat down to medium and bring to a simmer or slow boil. You will notice a grey scum collecting on the surface of the stock (see below). Skim this off with a large spoon and discard. The scum should stop forming after the first 30 minutes or so. 5. Simmer for about 8 hours. You don’t need to boil the bejeesus out of it; a slow boil or a simmer is fine. Some of the water will evaporate, just add it back as it starts to get a little low. You want all of your ingredients to remain submerged, so don’t let it get more than a few inches low. You will also notice that the chicken will start to break apart after the first hour or so and will create more space in the pot for liquid. Below is a photo of what it might look like after a few hours. 6. After 8 or so hours have passed, turn the heat off and get out your fine mesh strainer & your second large container (I use my smaller stock pot). 7. Place your strainer over your container and SLOWLY pour the entire contents of your pot of stock through the strainer. Be very careful, ask for help if you need it, and for the love of God don’t burn yourself! You may need to empty out the strainer halfway through as it fills with chicken parts and spent vegetables. 8. Discard the solids from your stock. At this point you’ve boiled every last bit of flavor out of them and they won’t be good for much of anything. 9a. Now for skimming the fat. 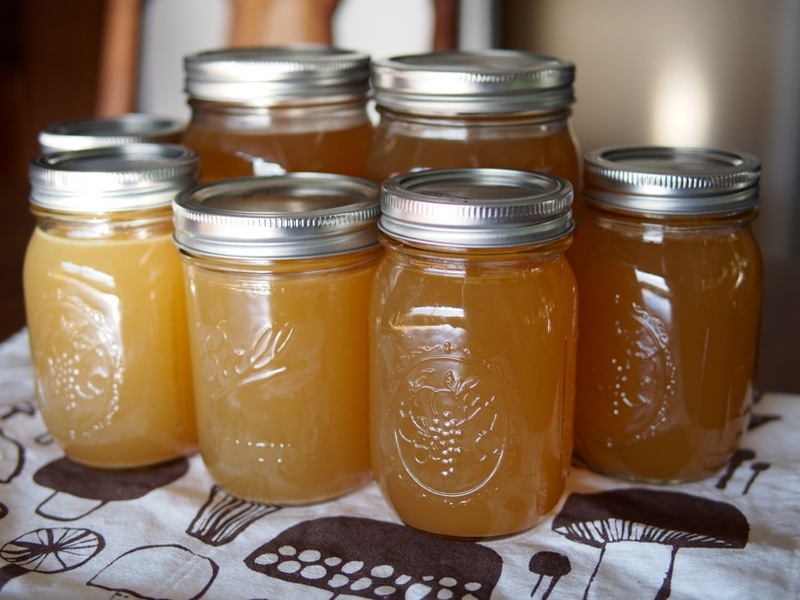 A fine home-made chicken stock has very little fat in it, but you may notice that the new stock you just strained is full of chicken grease. The easiest way to skim the fat is by using a fat separator. This is one of the very few single-purpose kitchen tools I have, because I make stock so often and it really does save you a lot of trouble. Fill the fat separator and give it a minute so the fat can float to the top. Then, pour off the clear stock into your mason jars, leaving an inch and a half of headspace; this will prevent them from breaking when you freeze them. Once filled, stick them in your freezer. 9b. If you don’t have a fat separator, then just put the whole stock-filled container into an ice water bath to bring the temperature down very quickly – this prevents bacterial growth. Once it’s cool to the touch, stick the whole container in your refrigerator until the fat has floated to the surface and turned solid from the cold. 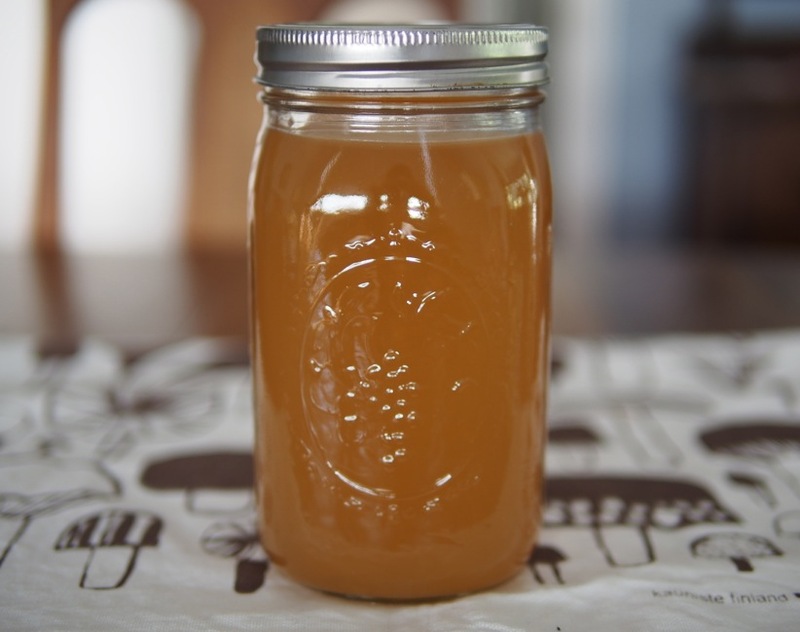 Then you can just remove it with a slotted spoon, then pour the fat-free stock into your mason jars (leaving an inch and a half of headspace!) and then freeze them. 10. When it’s time to use some stock, just pull a jar out of the freezer, remove the metal lid and ring, then stick the whole jar into the microwave and defrost. 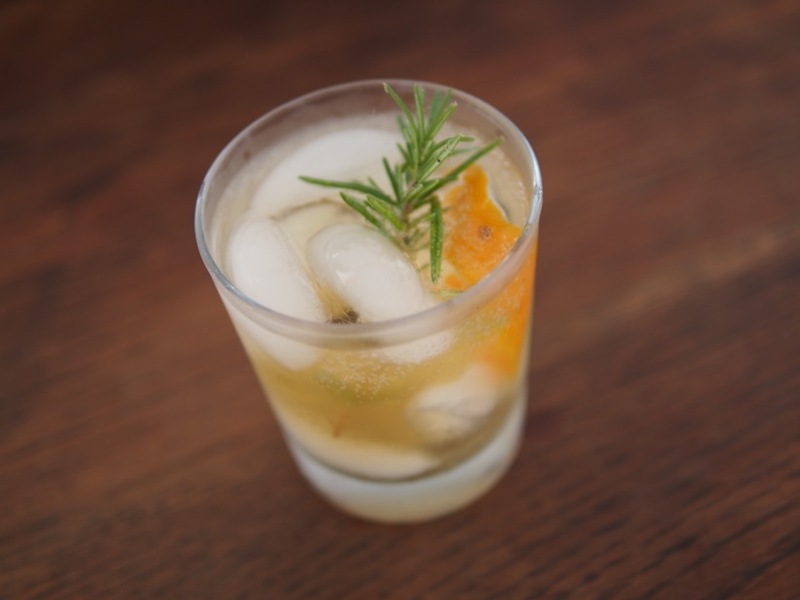 Use what you need and refrigerate or re-freeze the rest.